As we go big, we might spare a thought for Paul Erdős; he died on this date in 1996. One of the most prolific mathematicians of the 20th century (he published around 1,500 mathematical papers during his lifetime, a figure that remains unsurpassed), he is remembered both for his “social practice” of mathematics (he engaged more than 500 collaborators) and for his eccentric lifestyle (he spent his waking hours virtually entirely on math; he would typically show up at a colleague’s doorstep and announce “my brain is open”, staying long enough to collaborate on a few papers before moving on a few days later). 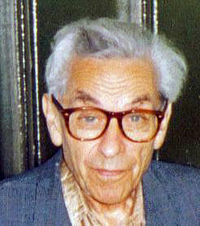 Erdős’s prolific output with co-authors prompted the creation of the Erdős number, the number of steps in the shortest path between a mathematician and Erdős in terms of co-authorships. 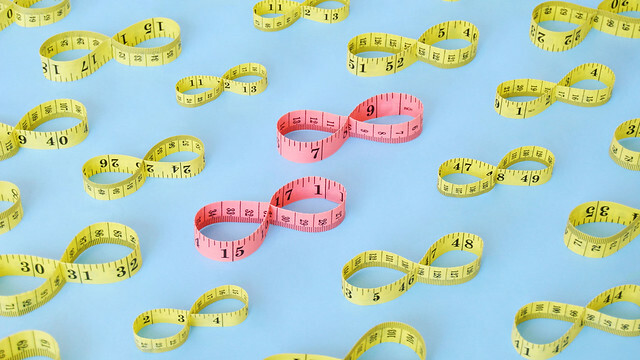 Low numbers are a badge of pride– and a usual marker of accomplishment: As of 2016, all Fields Medalists have a finite Erdős number, with values that range between 2 and 6, and a median of 3. Physics Nobelists Einstein and Sheldon Glashow have an Erdős number of 2. Baseball Hall of Famer Hank Aaron can be considered to have an Erdős number of 1 because they both autographed the same baseball (for number theorist Carl Pomerance). Natalie Portman’s undergraduate collaboration with a Harvard professor earned her an Erdős number of 5; Danica McKellar (“Winnie Cooper” in The Wonder Years) has an Erdős number of 4, for a mathematics paper coauthored while an undergraduate at UCLA.